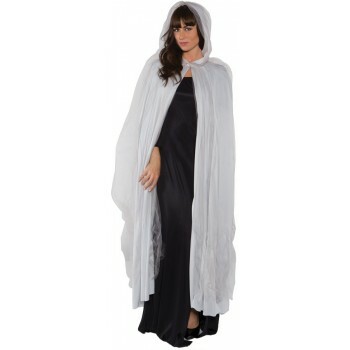 Full-length cape with tattered look. 60 inches long. One size fits most. Grey.